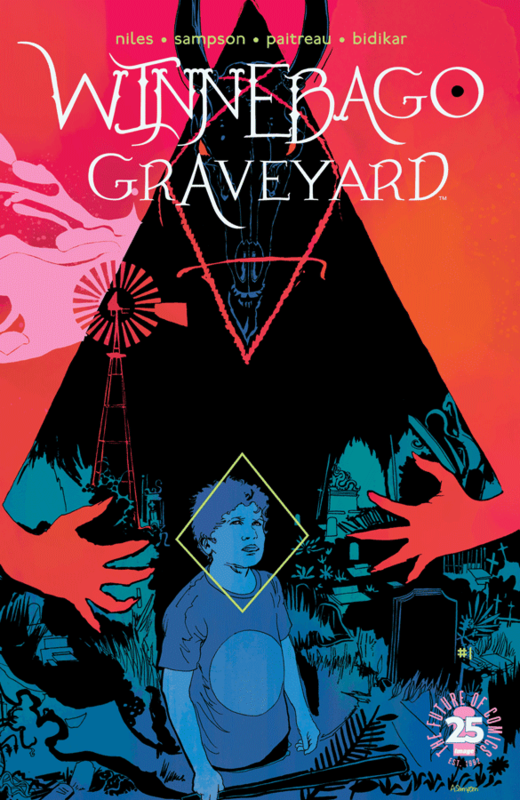 The Fellowship was fortunate enough to obtain a copy of WINNEBAGO GRAVEYARD #1 from Image Comics. Steve Niles writes, Alison Sampson draws, Stephane Paitreau colors, and Aditya Bidikar letters. Dan and his family are on a road trip in the Winnebago, and things are getting a little strained. Not surprising with a 13-year-old along on the trip. But Dan spots a dusty old carnival on the side of the road, and the family manages to have fun for a while. When they get done, though, the RV is missing and they all have to hike to the nearest town. But there’s something strange going on in this small town. We do get a glimpse at that strangeness, but no spoilers here. And the family has some potential for relationship dynamics under stress, which makes this kind of story work well. There’s lots of room for cool story in here, and the art really helps to bring out the emotions along the way (both in the town prelude and within the family). People are key in a good horror story, and Niles is one of the best at creating and showing people. This is going to be a good read, I can feel it. Check it out. 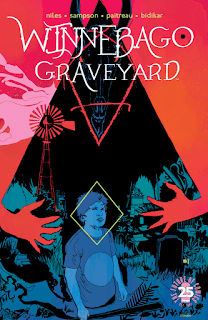 WINNEBAGO GRAVEYARD #1 is available now from your local comic shop, or online at imagecomics.com.